We are pleased to announce new stock of this very popular model! Call us! This entry was posted in Uncategorized and tagged alto saxophone, Jim Snidero, Selmer, Selmer Paris. Bookmark the permalink. We don’t see these around much, but here is a great example that we have at a fantastic price of $2200! This entry was posted in Uncategorized and tagged Bundy, clarinet, contra alto clarinet, Selmer. Bookmark the permalink. A pBone 4th of July? Calling all trombonists! Why not team up with your buddies, and get some red, white and blue trombones for your 4th of July gig? We have them in stock! This entry was posted in Uncategorized and tagged 4th of July, pBone, trombone. Bookmark the permalink. 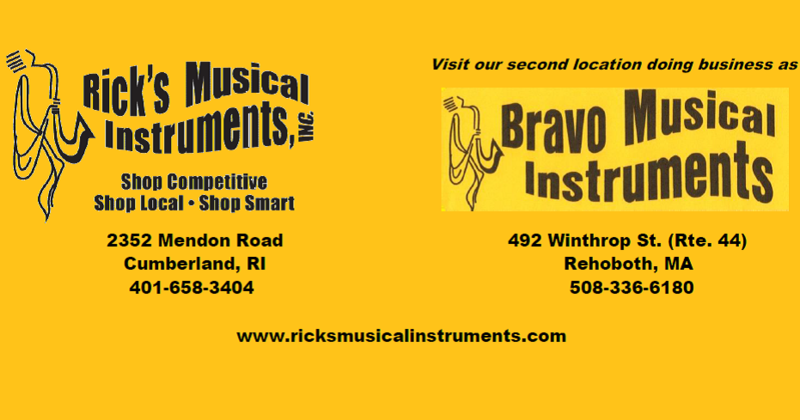 The Pro Shop at Rick’s Musical Instruments, Inc.
See the fine woodwind and brass brands from piccolos to tubas that we carry in our Pro Shop! This entry was posted in Uncategorized and tagged bass clarinet, clarinet, flute, french horn, piccolo, saxophone, trombone, trumpet, tuba. Bookmark the permalink. Now in stock in our Pro Shop! This entry was posted in Uncategorized and tagged Antigua Winds, professional, saxophone, tenor saxophone. Bookmark the permalink.